This site is not an official NSDAR Web site, and the content contained herein does not necessarily represent the position of the NSDAR. The President General is the official spokesperson on issues that have not been addressed as policy of NSDAR. In April, the Tennessee Society of the Daughters of the American Revolution hosted their 111th State Conference. 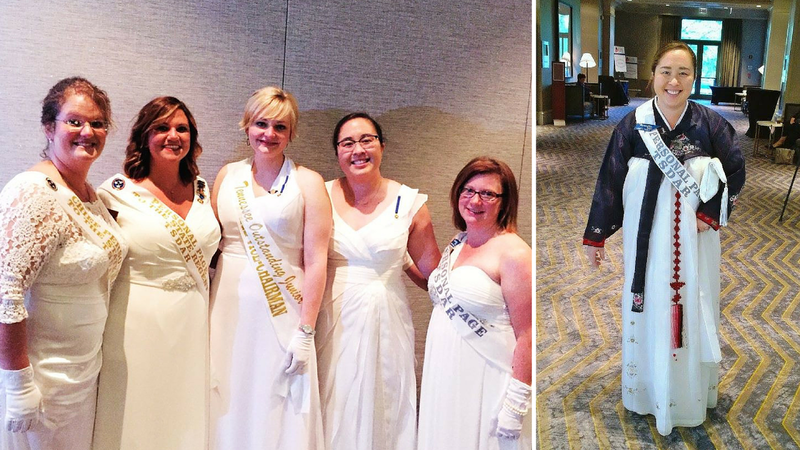 For the fourth year in a row, I was in attendance as a member, and for the third year in a row, I was a page! 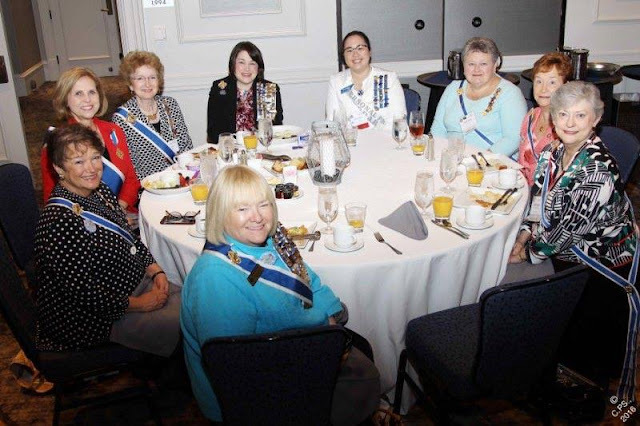 This year was very special, as it was the last State Conference with our current State Regent at the helm, a lady that I love and respect intensely. In addition, the President General, i.e. the head of the entire DAR organization, was a guest in attendance! 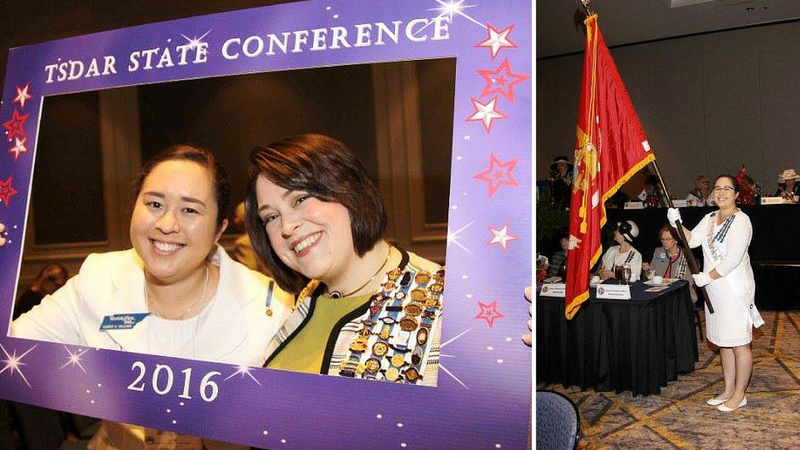 You can read her detailed recap of our State Conference here. One of the reasons I love DAR is my exposure to so many women who are charismatic leaders, generous volunteers and fundraisers, and intelligent to boot. After all, we all had to research family lineage and have in interest in our roots in order to join! They are mothers, grandmothers, aunts, sisters, wives, and daughters... as well as doctors, businesswomen, librarians, teachers, nurses, homemakers, lawyers, and on and on! 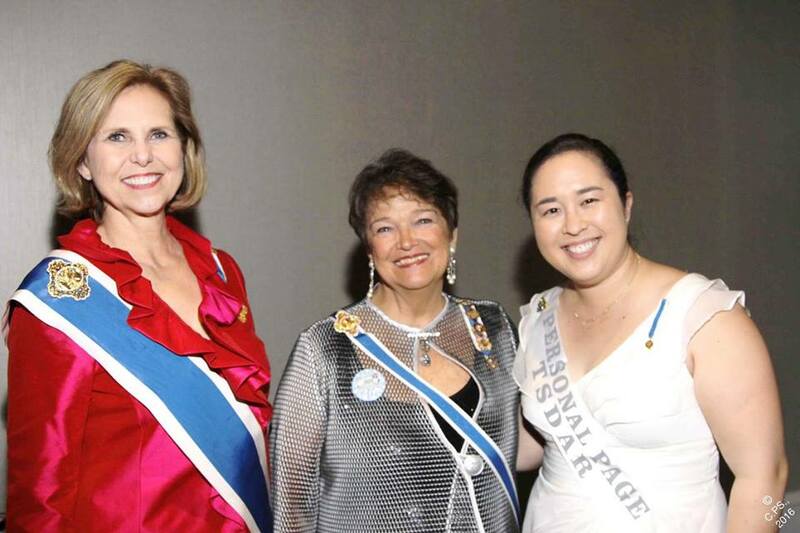 President General, our State Regent, and me! This State Conference, I was more involved than ever! I attended all of the meals, which was definitely a financial commitment, but it was great to see so many programs come to life. I assisted with multiple programs, I designed a brochure, and I covered the event for social media. Check out our NEW state Instagram account! That and other odds and ends. A page's work is never done, but we get to eat, sleep, and BREATHE these incredible events. 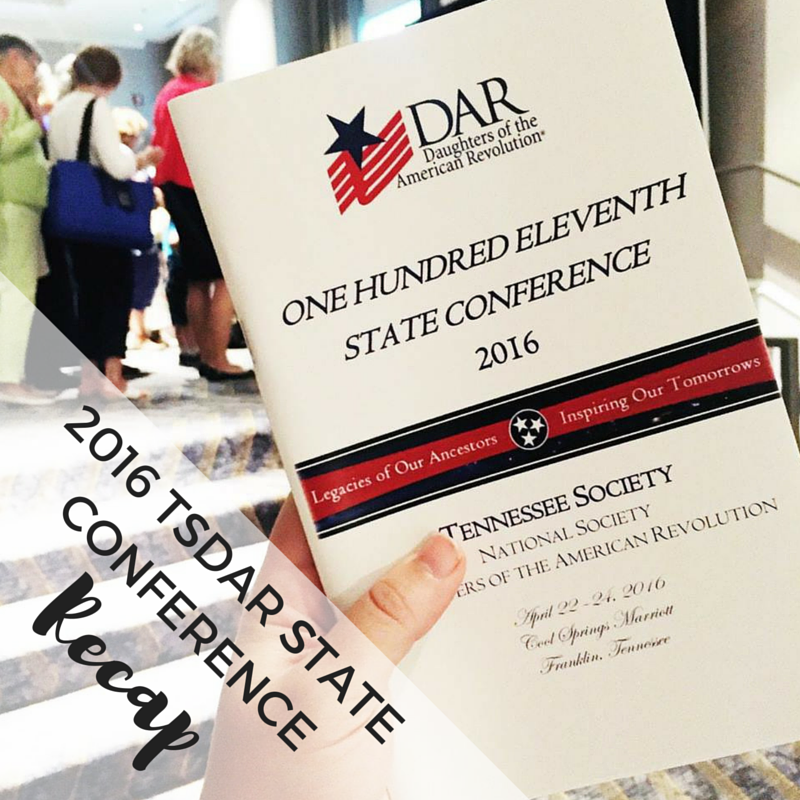 A State Conference for DAR is an annual event. We have both formal events and business meetings. We touch on all three pillars of patriotism, education, and historic preservation. We socialize, we share, we learn, we shop, we celebrate, we fundraise, we HAVE FUN! That's really the best way to describe it. Imagine hundreds of wonderful women, all together for three full days of fellowship. It's exhausting and great. About that FUN... I portrayed a past President General during a skirt, flexing my amateur acting chops. There was a wig involved, my second year running in a wig (last year, I portrayed the 1960s in a fashion show), and it was a blast! I also dressed like a kangaroo during a fun run to support Helen Pouch Memorial Fund, which helps support DAR schools and has the kangaroo as a symbol. Another reason this year was particularly special? This year my BEST FRIEND IN DAR won State Outstanding Junior. Oh, it was so wonderful, I was crying into my white gloves. State Conference and Continental Congress kind of feel like DAR prom, but with multiple nights of celebration, and some business added in. It's one of the best parts of being in the organization, though it's honestly a small part of the BIG work we do on a national scale. For one of the formals, I wore a Korean hanbok as my dress! 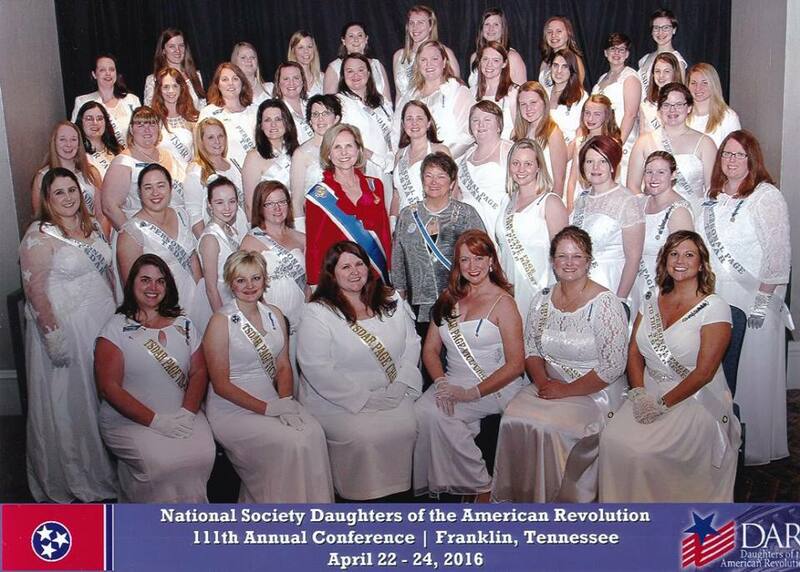 I'm headed back to Washington in June for Continental Congress. I can't wait to report to you on that too! and my trip to last year's Continental Congress in Washington, D.C.!